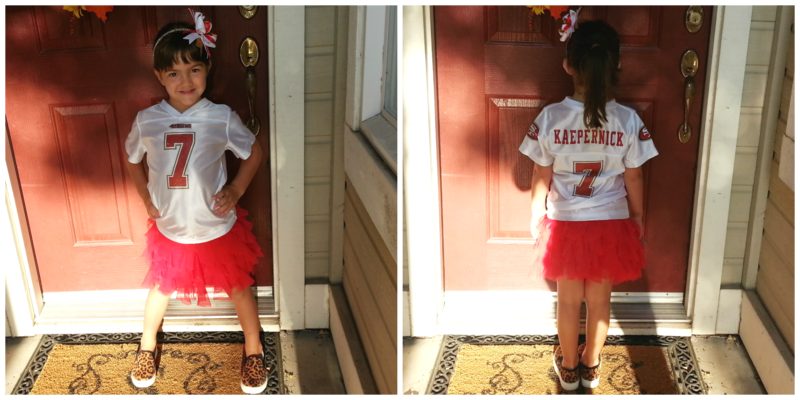 Red twirly skirt: Old Navy, 49ers jersey: Target, headband: band – JustFab, bow – made by family friend, leopard print sneakers: Target. Happy Friday and GO NINERS!! !